Daily Slideshow: Celebrated Japanese tuner, Wald International has been offering cosmetic upgrade kits for the LS range since the 1990s. 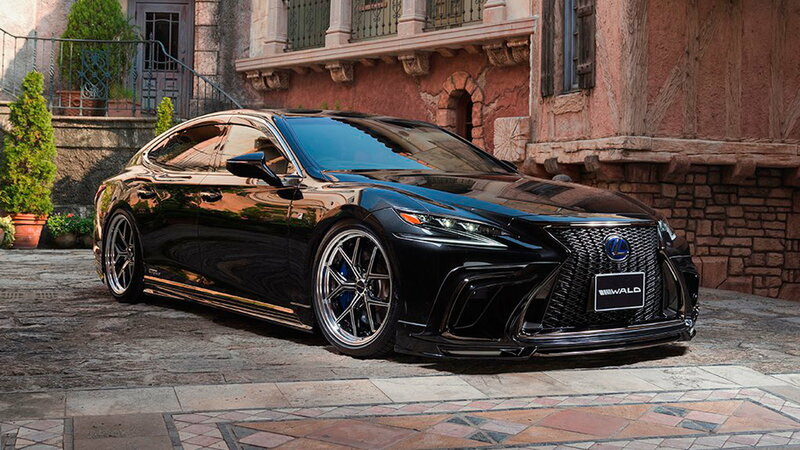 This is its interpretation of the latest LS four-door. 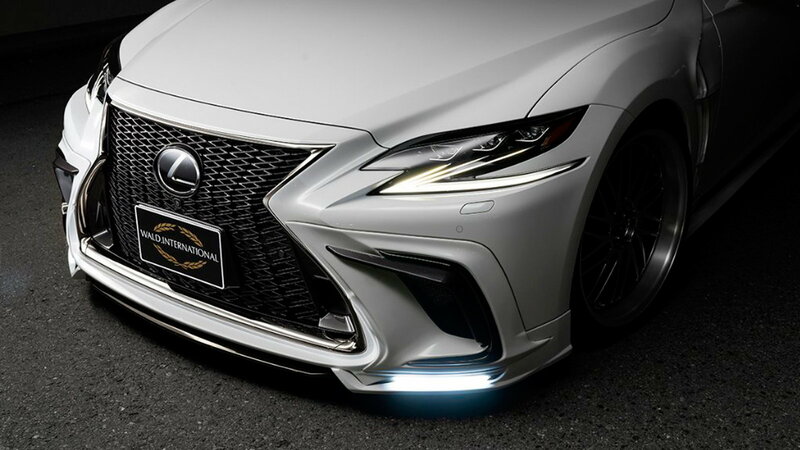 Renowned Japanese Lexus tuner, Wald International, has focused its outrageous ideas and technical expertise on the LS sedan. The Wald upgrades tally cosmetic components, illumination, wheels, and even a custom exhaust system. 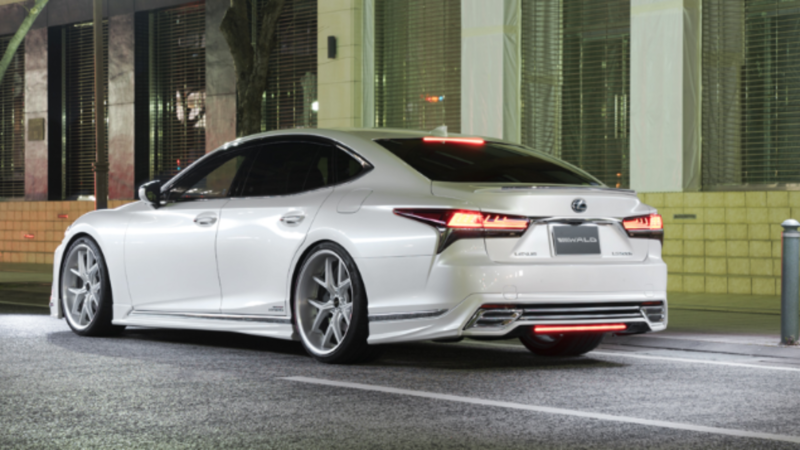 Wald’s additions give the LS even more presence, converting the Lexus sedan into a cool boulevard bruiser. Most notably in the front is a new apron, which skirts low and houses its own integrated daytime LEDs. 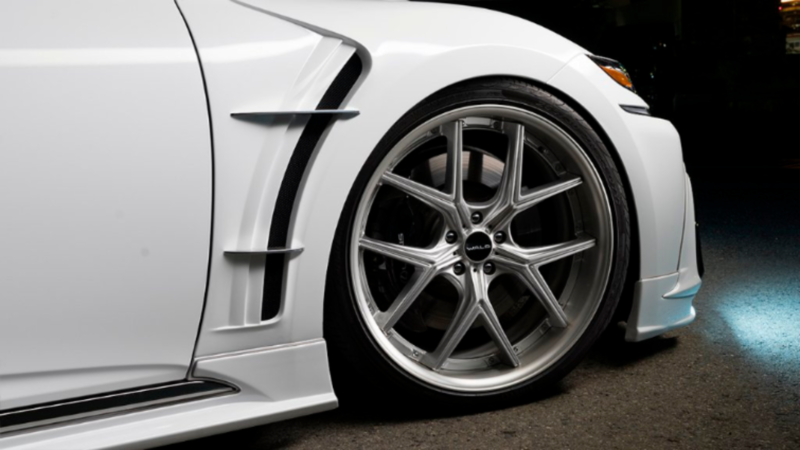 Enhancing the Wald tuned LS in terms of stance are wider fenders to accommodate those larger wheel and tire options. 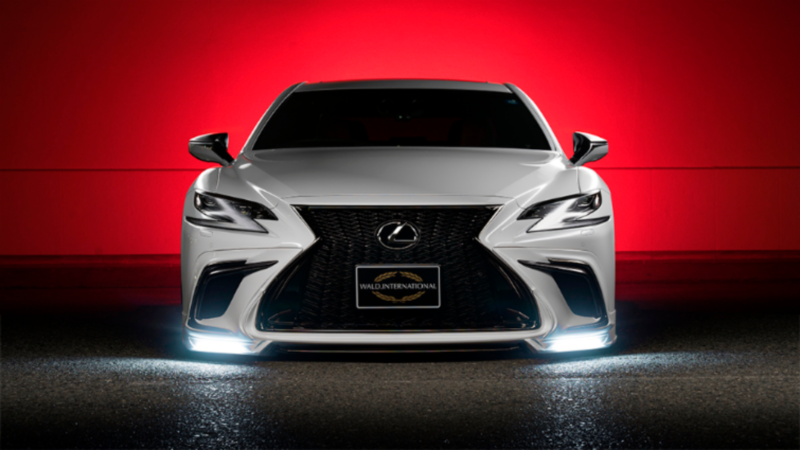 >>Join the conversation about the Wald body kit for the LS right here in Club Lexus. Any aftermarket supplier majors in wheel options and the latest Wald selection for LS is not different. On offer are open-spoke design alloy wheels ranging from 20- to 22-inches in size, which are plenty big enough to fill those widened wheel arches. Rolling the 22-inch wheels, Wald recommends its slightly narrower width alloys up front, with the wider wheels rolling out back. The difference in width between the front and rear wheels are only two inches, but for optimal wheel corner balance and tacking stability, Wald has found that running the narrowing rims from, and wider wheels rear, best services the LS driving experience. 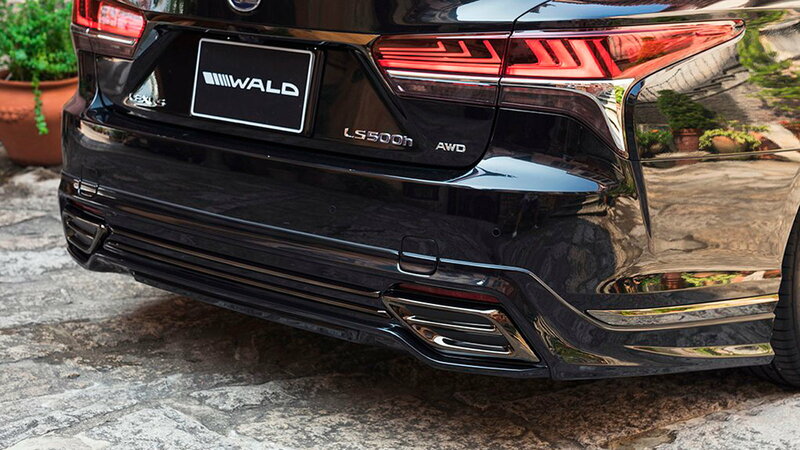 When you are stuck in traffic, trunk and taillights are the views you have of that car up front, and Wald’s ensured that their kit embellished the LS’s rear - to give it the required presence, even when it’s being followed. Framing the top of the trunk is a spoiler and that is not the only aero bit found around the rear of the upgraded LS. Below the bumper is a diffuser unit, which should offer superior airflow management and also happens to look great. Continuing the low-as-it-can-possibly-go lighting theme from those front mounted LEDs, is a horizontal LED brake lighting strip which sits below the diffuser. Beyond the array of cosmetic upgrades Wald is proposing, the only true mechanical option is a quad exhaust. 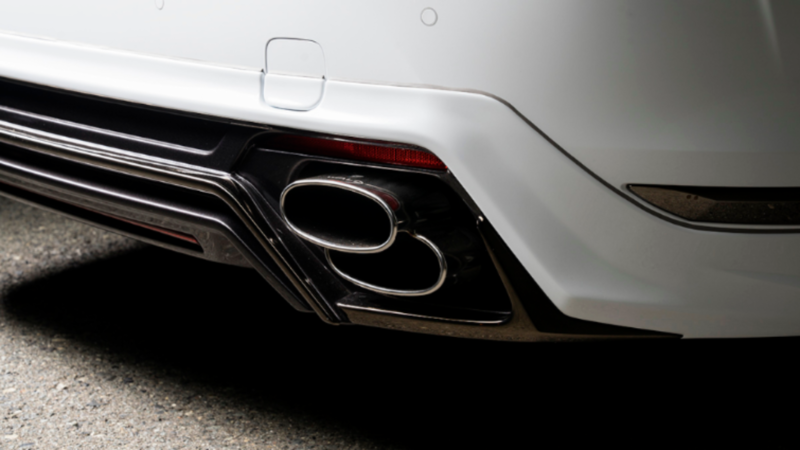 Reminiscent of the Lexus IS-F, Wald will add its own custom crafted exhaust system upgrade to the LS tuning package on request. Don’t expect any increase in power. Wald says that its own exhaust system doesn’t alter the LS engine output. But do expect improved throttle response and, perhaps more importantly, an evocative exhaust note during surges of peak acceleration. The greatest point of resistance owners have in embracing an aftermarket upgrade kit is the issue of components being incompatible with the manufacturer specification. Nobody wishes to cut or drill holes in their car in order to make aftermarket bits fit. And the good news with Wald’s LS kit is that none of that drama is necessary. 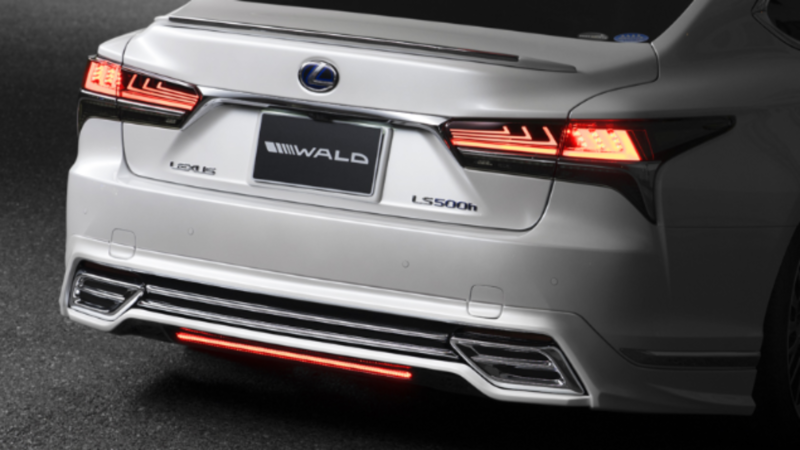 A legacy feature of its industry experience is Wald’s ability to engineer its upgrade in a manner which is convergent with Lexus factory specification. That means that all the bits they supply can be secured to original Lexus LS mounting points.